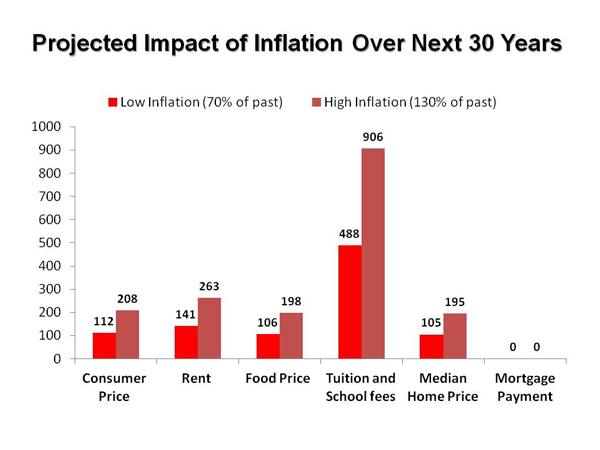 We haven’t been hearing a whole lot about inflation, lately. However, prices of goods and commodities have been creeping upward over the past year. 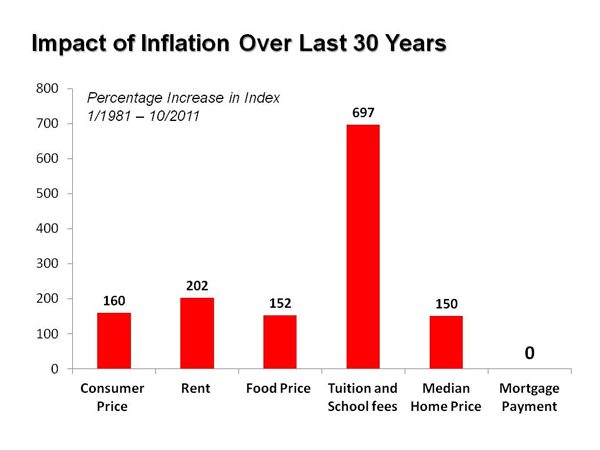 For example, from November 2010 to November 2011, food prices have increased by 6.2%, housing fuels and utilities are up 3.5%, and transportation costs have increased by 9.2%. We can see that real estate, represented in the "Median Home Price" and "Mortgage Payment" categories, has fared well. The most important number is the 0% increase in mortgage payments. The study assumed that the homeowner took a 30 year fixed rate mortgage thereby locking in the housing expense for the thirty years. We can lock in the housing costs of our primary residences and vacation homes at all time lows if we purchase today. This offers a great hedge against future inflation. If you'd like more information about these findings, mortgage rates, or purchasing or selling a home, please contact me at: 608-219-9766. I'll be happy to talk with you and answer any questions you may have. Portions of this content borrowed, with permission, from KCM Blog.